WA : Pend Oreille Co.
June 23, 2004, L. & E. Crabo. 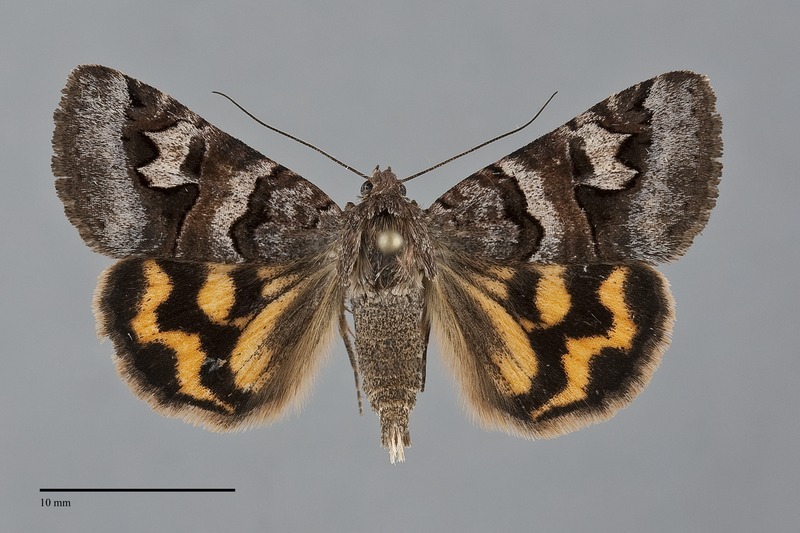 Drasteria adumbrata is a common medium size Drasteria (FW length 15 - 19 mm) from forest habitats that has dark brown forewings and light orange and black hindwings. 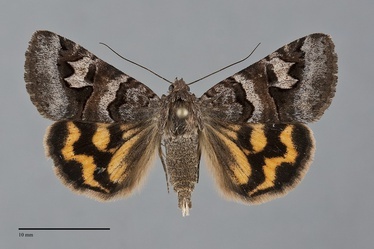 The forewing is gray-brown, darker brown fillingthe undulating antemedial line and between the postmedial and subterminal lines and lighter gray to brown in the medial and terminal areas. The median line is dark brown to red-brown, occasionally only evident at the costa. The area between the black reniform spot and the laterally projected and strongly toothed postmedial line is large and filled with the same light gray-brown as the medial area and lacking significant white scaling. 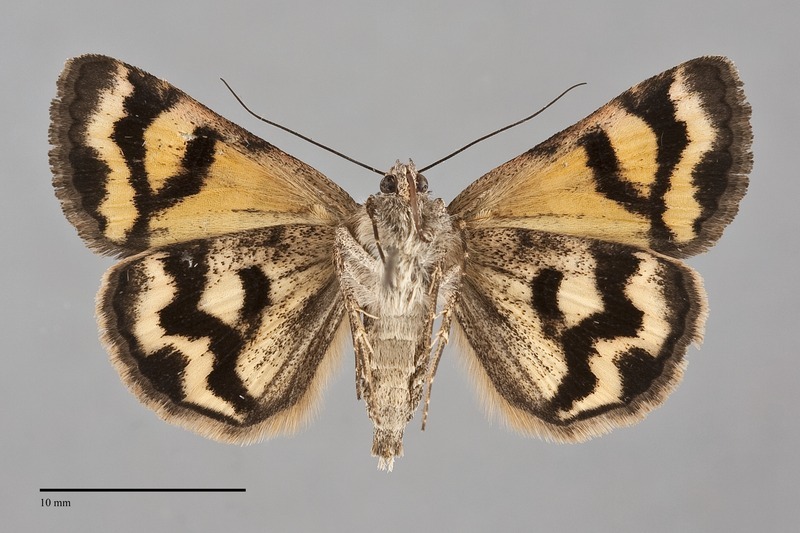 The hindwing is orange without red tint. The black markings include a large discal spot that nearly touches the waved postmedial line and a bilobed marginal band. The head and thorax are gray-brown. The antennae are ciliate in males and simple in females. This species is common to abundant in higher elevation mountain habitats throughout much of western North America. Habitats include both open coniferous forests and open meadows in both the Cascades and Rocky Mountains. 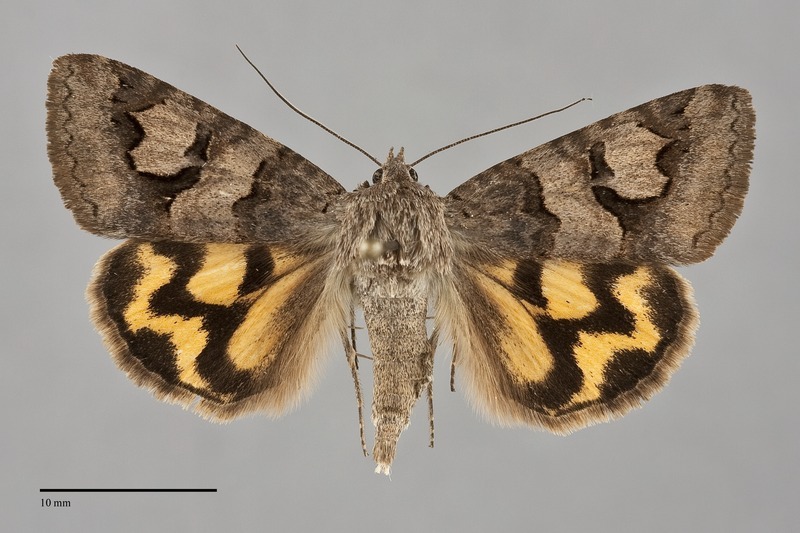 Drasteria adumbrata is widely distributed in forests east of the Cascade crest. It does not occur in steppe habitats. This species has a large range in North America. Its range extends to the East Coast where it occurs as far south as New York's Adirondack Mountains. No information is presently available regarding larval foodplants for this species. Adults are found from late spring through the summer months. Most Pacific Northwest records are from late May to early August. 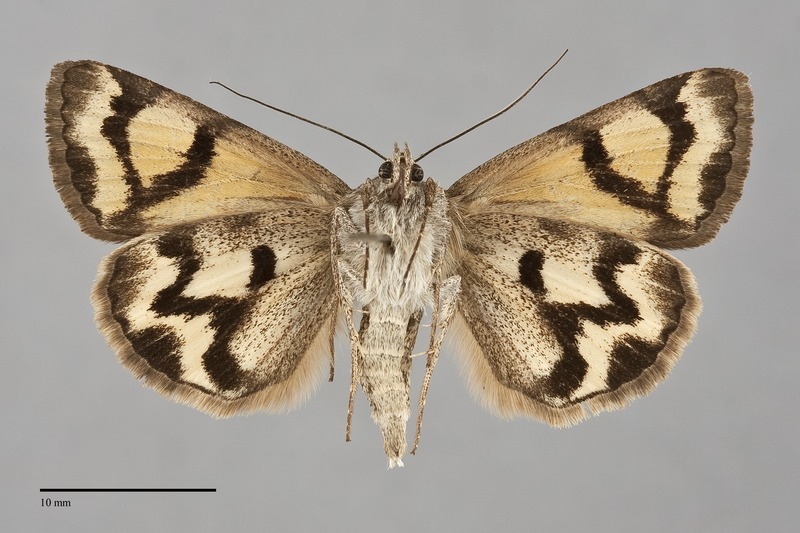 This species is predominantly nocturnal and comes readily to lights.